This makes very interesting reading. 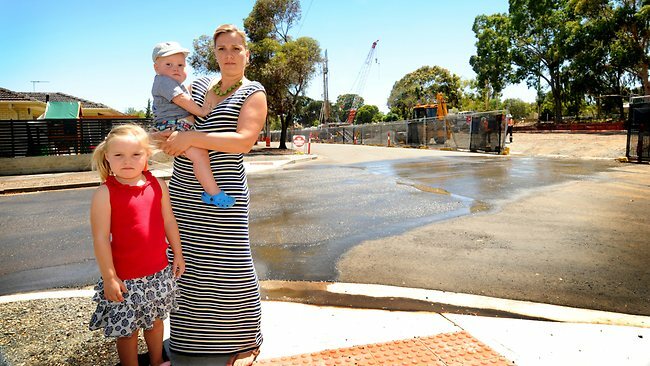 Cromer Parade residents are concerned about the dust thrown up by the Goodwood Junction redevelopment. "ARSENIC found at the Goodwood railway works site poses no threat to human health, authorities say. Residents raised concerns after the Transport Department detected the poison along the tracks south of the Goodwood station underpass construction site. SA Health acting chief public health officer Kevin Buckett said the arsenic readings were well below the level deemed worthy of further investigation. "If the investigation reveals that there is indeed a risk to the public, action would be taken to reduce or prevent exposure," Dr Buckett said. Cromer Pde, Millswood residents said their homes and gardens had been coated in dust stirred up by works during the early stages of the $110 million project to build an underpass near Victoria St. Narelle Hopkins, 35, a mother of two toddlers, said there had been a lot of dust around their home. "The house is filthy and we're not sure if we can eat the fruit from our trees," Ms Hopkins said. "My biggest worry is when they start digging the tunnel. Obviously they've got to do it but there's been little consideration for residents." Marie Ryan returned home from work to find the dust had penetrated her flyscreen windows and door. "Everything was absolutely covered and it's not just dust it's like concrete," Mrs Ryan said. "The workers are very polite and courteous. (But) more notification about starting times and little things like covering dirt entrances to the tracks with gravel to limit the dust would help." A Transport Department spokeswoman said arsenic was in herbicides used on the rail network in the past. The arsenic level fell within EPA and National Environment Protection Measure guidelines so the department was satisfied it was safe, she said." Comments from people on the website also make interesting reading. To make matters worse DPTI are currently piling dirt along the backs of properties that face Millswood Cres inside the rail corridor instead of removing it immediately after excavation!